My sister did a semester abroad in Italy, and I would have loved to visit her then! (Alas, I was in Iraq. Boo.) But following a week in France/Monaco, a week through Italy would be lovely! 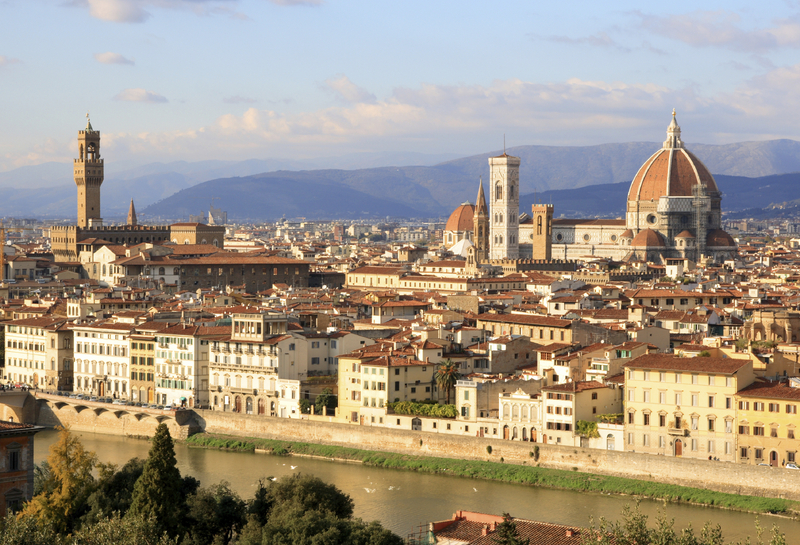 During my short stay in Florence, I would cram in as much as possible, including: Uffizi, Piazza della Signoria, Duomo, Galleria dell'Accademia (to see the David), Palazzo Vecchio, and Basilica di San Lorenzo. And I would eat pasta and drink wine until I'm full to bursting. For my abbreviated stint in Tuscany, I would spend a day each in Pisa and Siena. 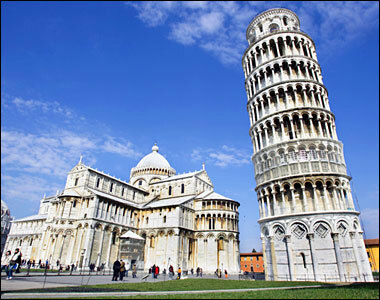 Pisa, of course home of the legendary leaning tower, would also mean a visit to Piazza del Duomo (Campo di Miracoli), Duomo, and Battistero. In Siena, I would take in the Torre del Mangia, Duomo, and Museo dell'Opera Metropolitana. If I were lucky, I'd be able to catch an opera somewhere along the way, but these cities are just so picturesque and beautiful. I'd love to see them in person. Okay, I know three days isn't nearly enough time to spend in Rome. My parents spent a week there and didn't see everything. But this is a two-week dream itinerary, so in my dream I see it all in just a few days! I LOVE OLD THINGS! I'd of course see the Colosseum, Forum, Trevi Fountain and Spanish Steps, as well as the Pantheon. But I would also spend a day exploring Pompeii (this disaster and the creepy mummies and such really fascinates me) and at least a half day in Vatican City. I used to love reading about different artists when I was younger, and the Sistine Chapel is definitely one of the big ones on my list. Well, there you have it! Two weeks in France, Monaco, and Italy. Fingers crossed this becomes a reality someday, right? Did I miss anything important? Where would you go on your dream trip? Rome was amazing!!! Just a great city with lots to see. We're going back sometime...hopefully, M will get theater time in Vicenza, which is only 40min from Venice.